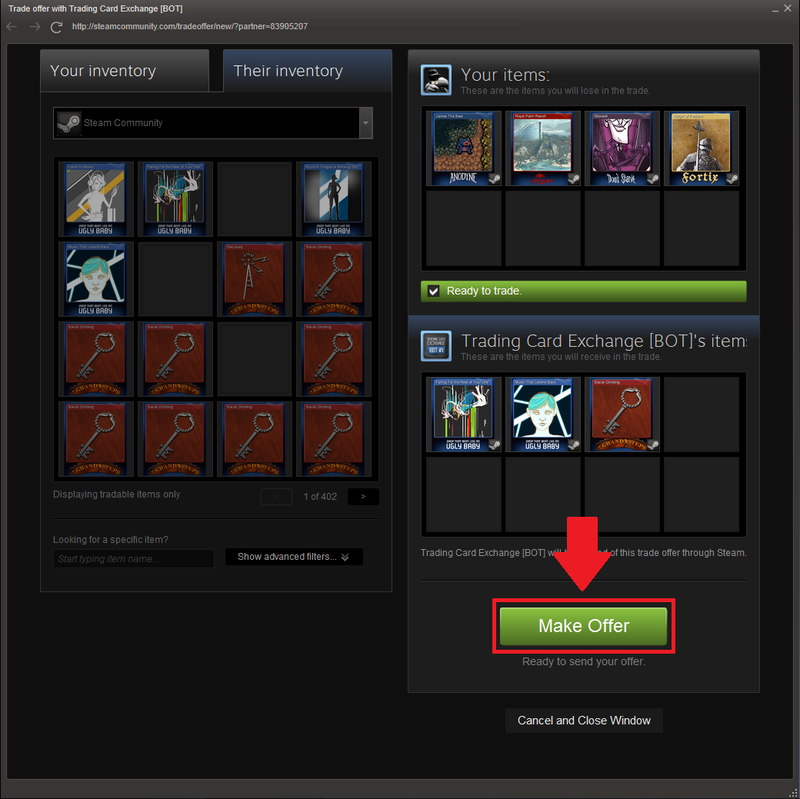 Start the trade by clicking the blue "Make Offer" button. 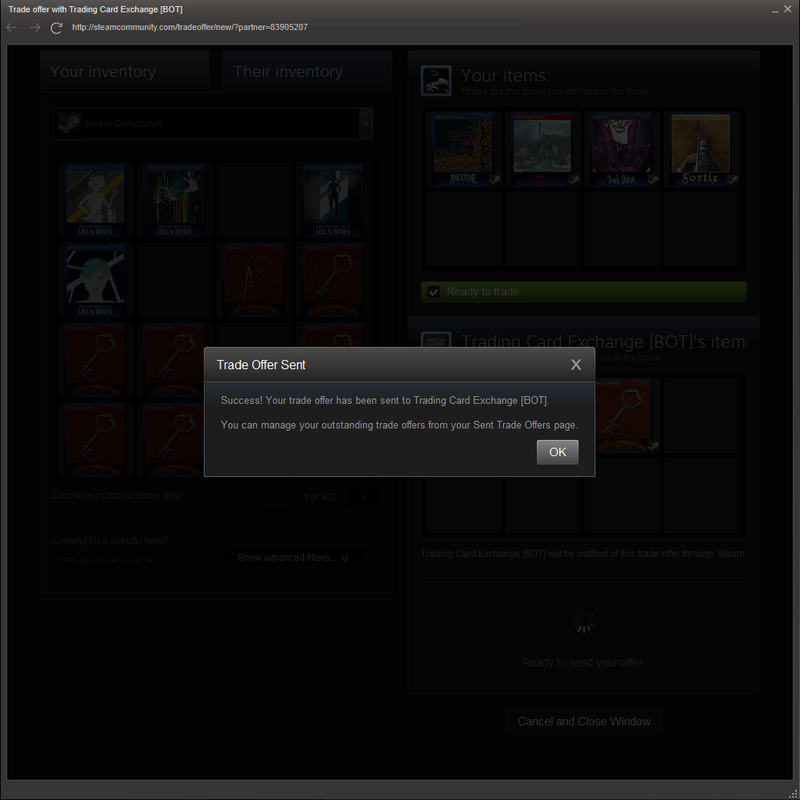 Click "ready" and "ok" in order to send your trade offer. 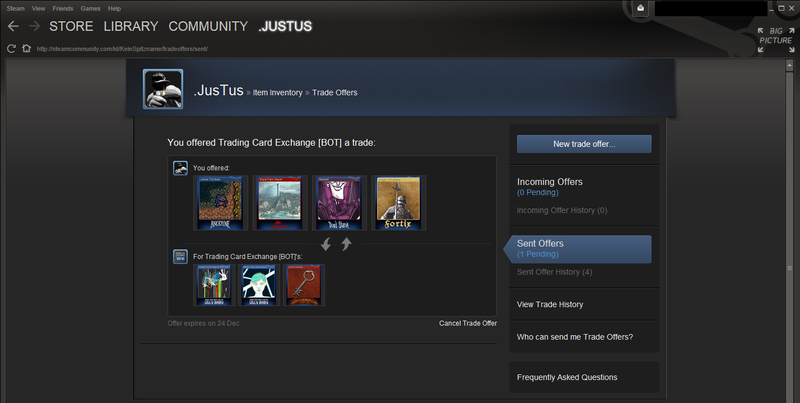 Wait for the Bot to accept/decline it. You can store credits up to a maximum of 100 credits. 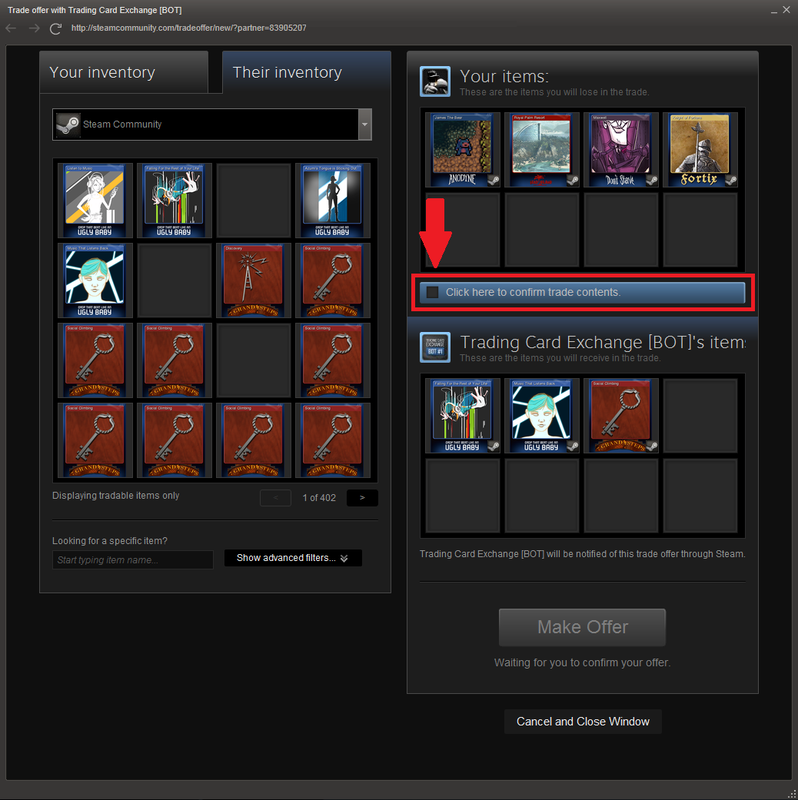 If you offer a trade which would store you more than 100 credits the Bot will now decline the trade. 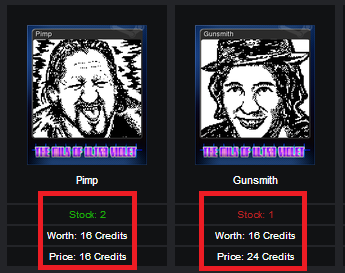 The value of a last card in stock is 1.5 higher than its regular value. 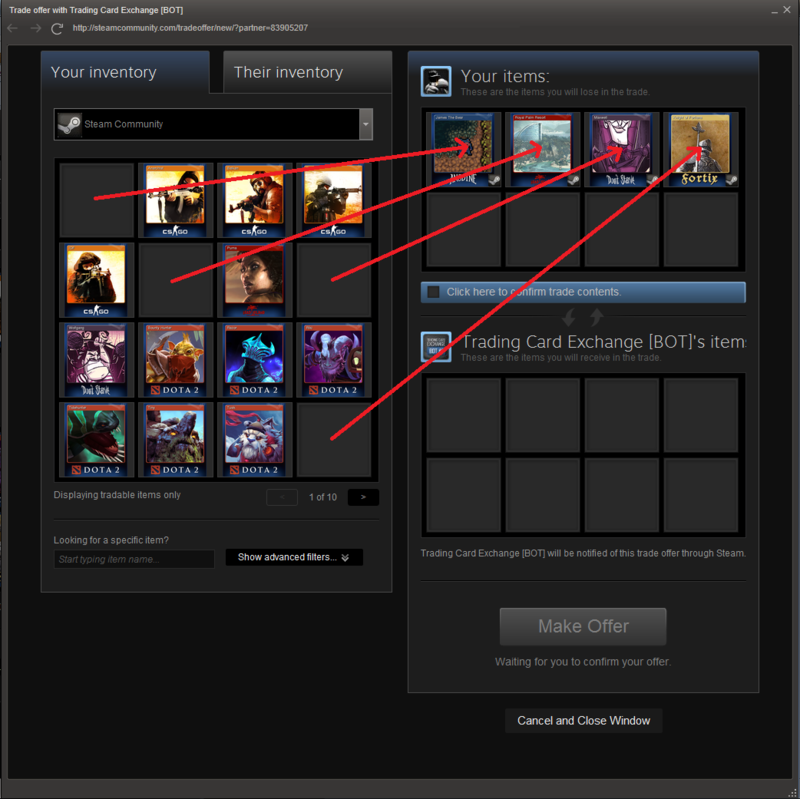 The card limit per trade is 6 cards on each side. 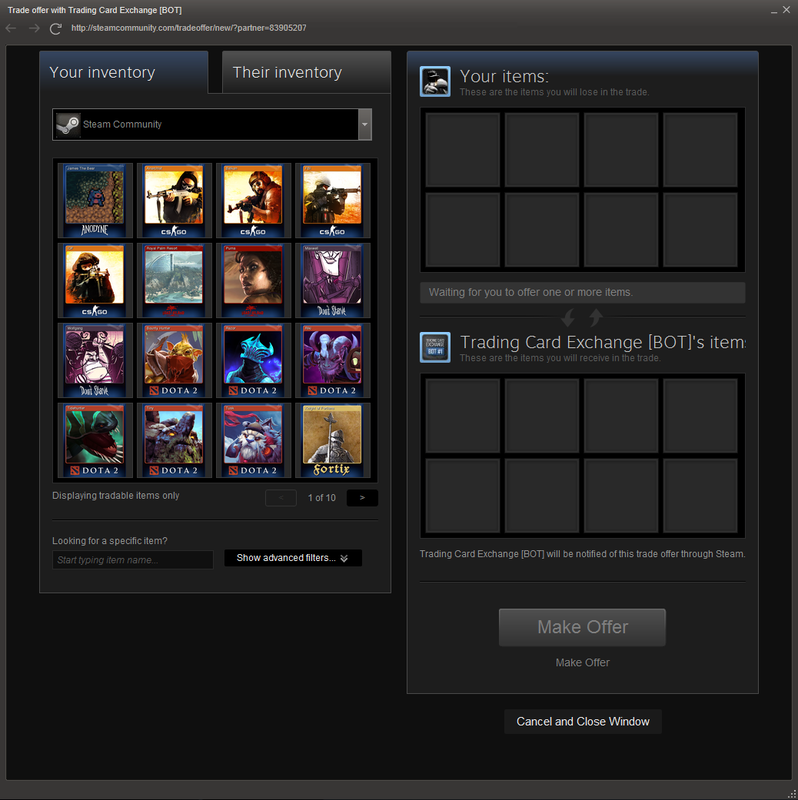 The bot stores max. 8 cards of the same type. Regarding high-value cards: We only pay up to 50 credits per card while the max sell price is 100c for normal and 150c for last card. 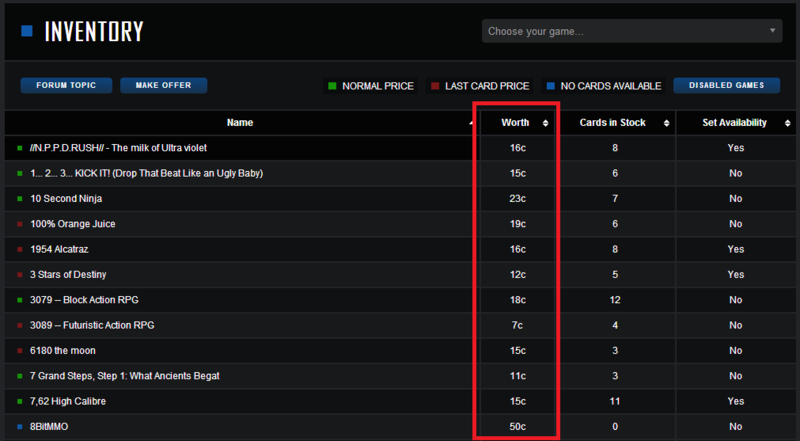 Don't forget to check the Worth Column and calculate the value of your cards! 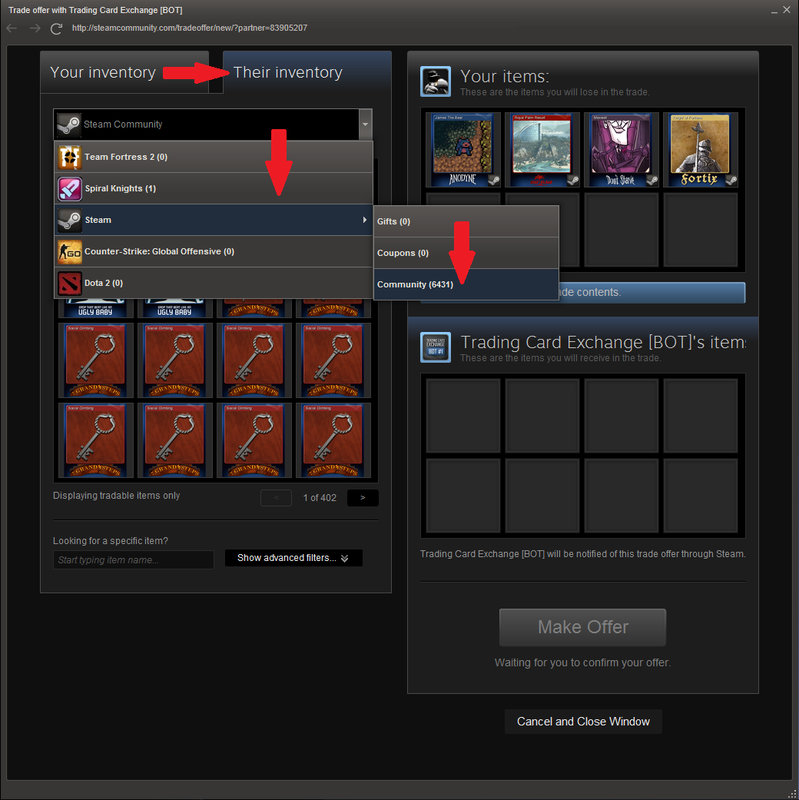 Don't forget to check the Game Specific Inventory and calculate the price for our cards.